Tom Brady has been in the headlines his entire career, but lately it has been more than ever. From winning his record 5th Super Bowl to his stolen jerseys, Brady remains in the spotlight at an age when most players are riding off into the sunset or already long retired. 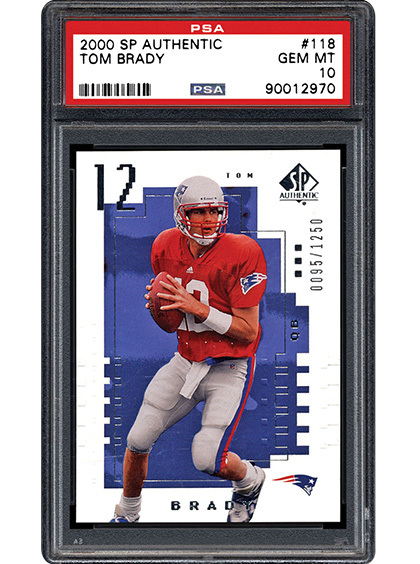 In the following article, we take a look at one of many sets that he anchors – the 2000 SP Authentic football card issue. 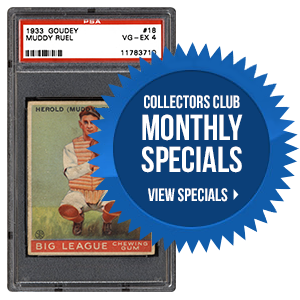 When most collectors think "Goudey," they often conjure images of the classic 1933, 1934, or 1938 sets. The designs were striking and, in some cases, different. 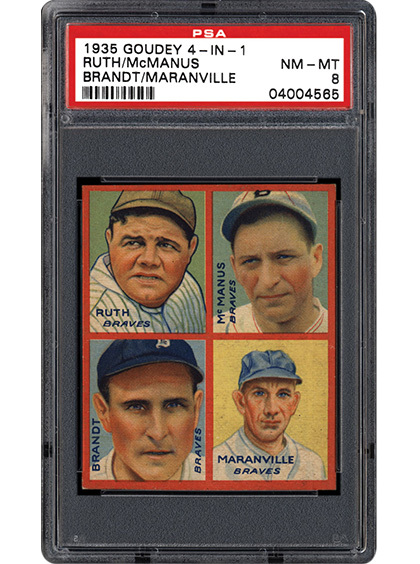 The 1935 Goudey set, where the collector receives four players for the price of one, is often overlooked. The condition-sensitive nature of the cards ensures the kind of challenge that most collectors avoid. In the next piece, we delve further into an issue stacked with Hall of Famers. In the non-sports trading card world, the variety of genres is tremendous. 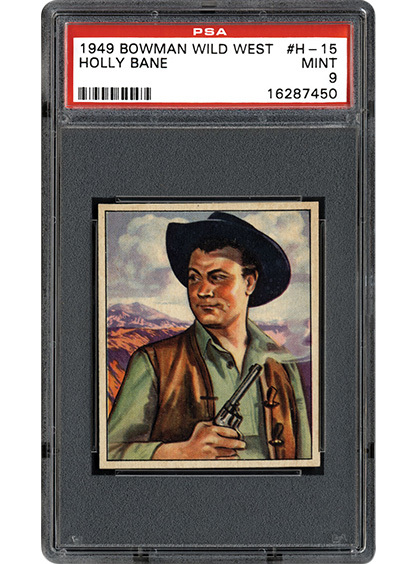 The theme of the Wild West is one that appears in numerous vintage releases, but perhaps no issue can compete with the sheer visual appeal and size of the 1949 Bowman Wild West set. At a whopping 180 total cards, a very large number for the period, this classic non-sports issue with stunning artwork has few peers. How many more years do you think Tom Brady will play in the NFL? The 2017 PSA & PSA/DNA Set Registry Awards deadline is Wednesday, May 31st, at 5pm EST (2pm PST). Items requested by April 30th, if approved were added to the set composites. Requests made after 4/30 are being added to composites as optional and will be required after the awards. Gone are the days of printing out your inventory/sets when traveling or away from your computer. Now you can update your collection in seconds, show off your collection, upload images directly from your mobile device. The PSA Set Registry companion app is now available for free download on the App Store for iOS and Google Play for Android devices.